Comedian Jasper Carrott OBE at.. Minds Eye Tattoo Design - Busi..
For those of you that love watching BBC2 hit drama Peaky Blinders how excited were you to find out that Series 2 is out this Autumn & it is bigger & better? 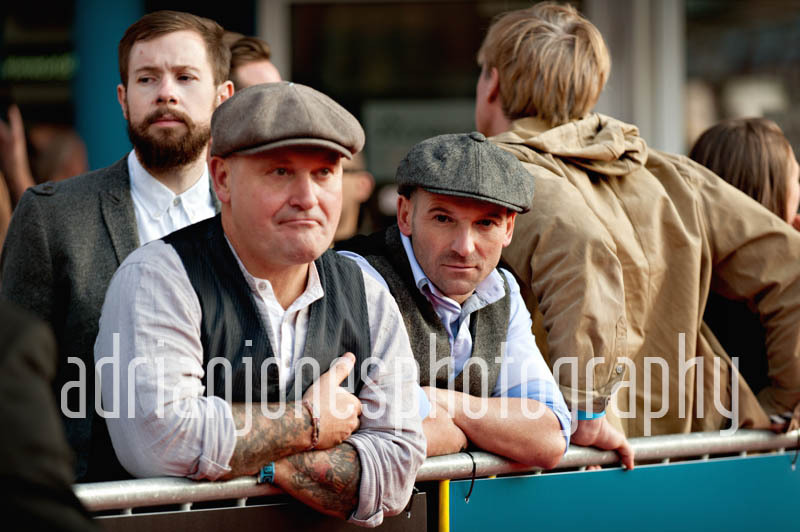 It was also set to have it’s Peaky Blinders Series 2 Birmingham Premiere here in the City. 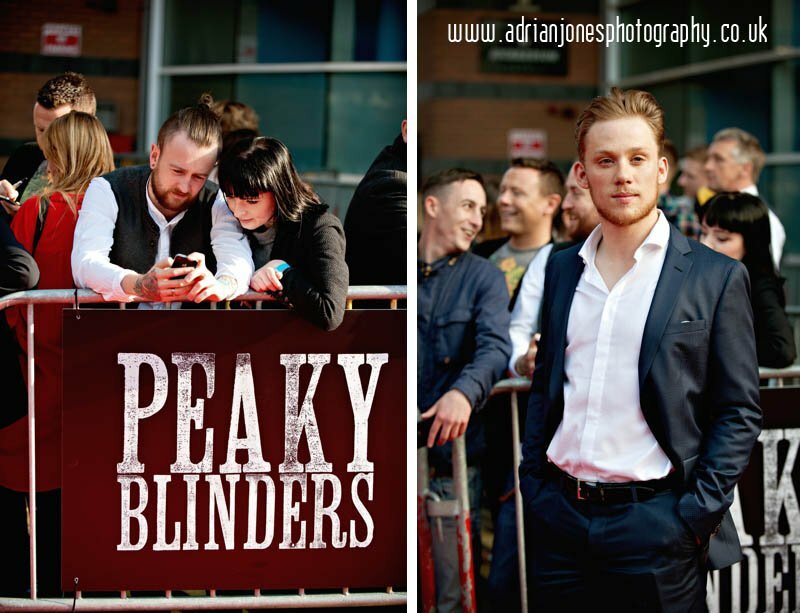 The show is set in Birmingham just after World War 1 & is based on the historic Peaky Blinders. The story centres on a gang who sew razor blades in the peaks of their caps (hence the title), and their ambitious and highly dangerous boss Tommy Shelby (played by Cillian Murphy). The gang come to the attention of Chief Inspector Chester Campbell (played by Sam Neill), a detective in the Royal Irish Constabulary who is sent over from Belfast to Birmingham to clean up the city and purge it of the gangs. 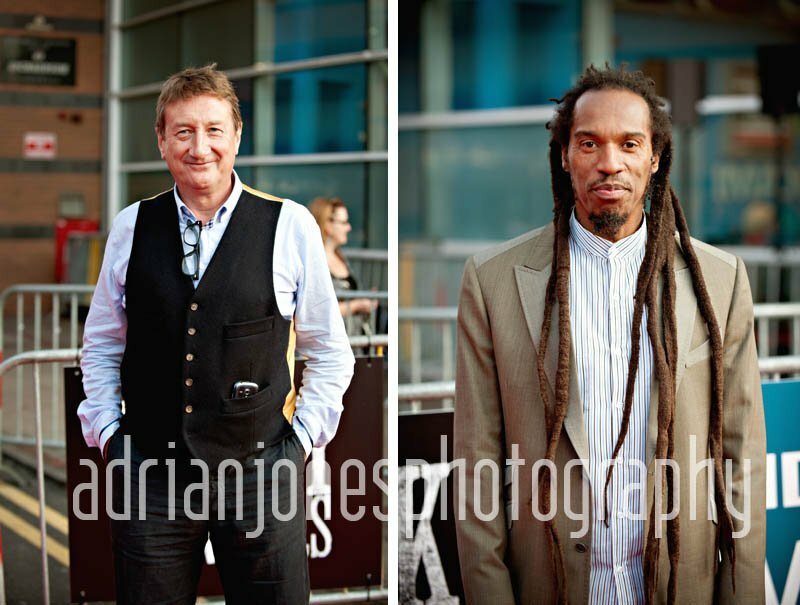 It seems only fetching that the Series 2 Premiere should be held in Birmingham & on a sunny September Sunday afternoon I photographed the stars of the show as they arrived on the red carpet at the Cineworld on Broad Street. 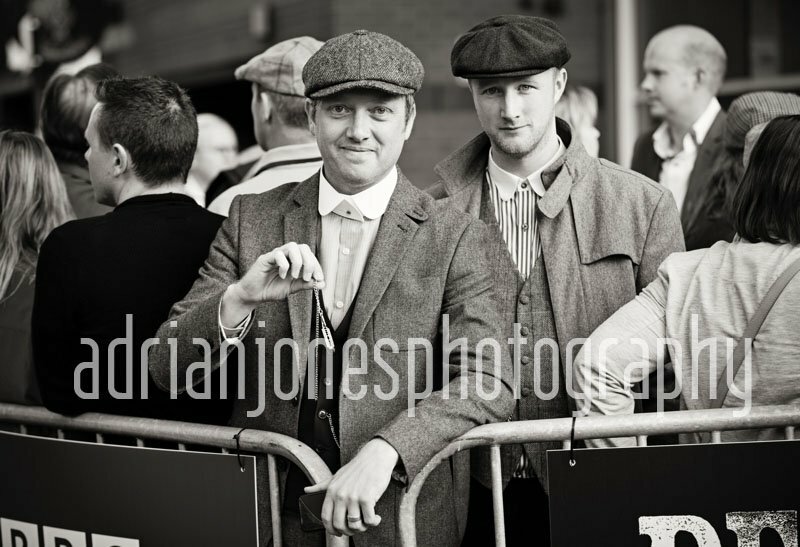 It was a great event, with members of the public turning up in their Peaky Blinder outfits & joining in the spirit of the day. Competition winners from the BBC were given a special preview of the first episode of Series 2 & it is safe to say it went down a storm. 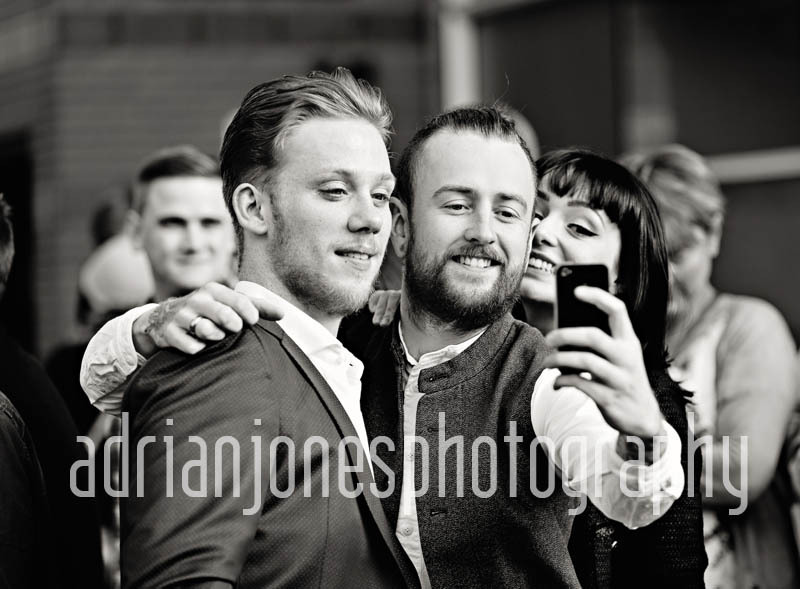 Above, Joe Cole who plays the role of John Shelby stops to greet competition winners on the red carpet – joining in the fun with a fan selfie. 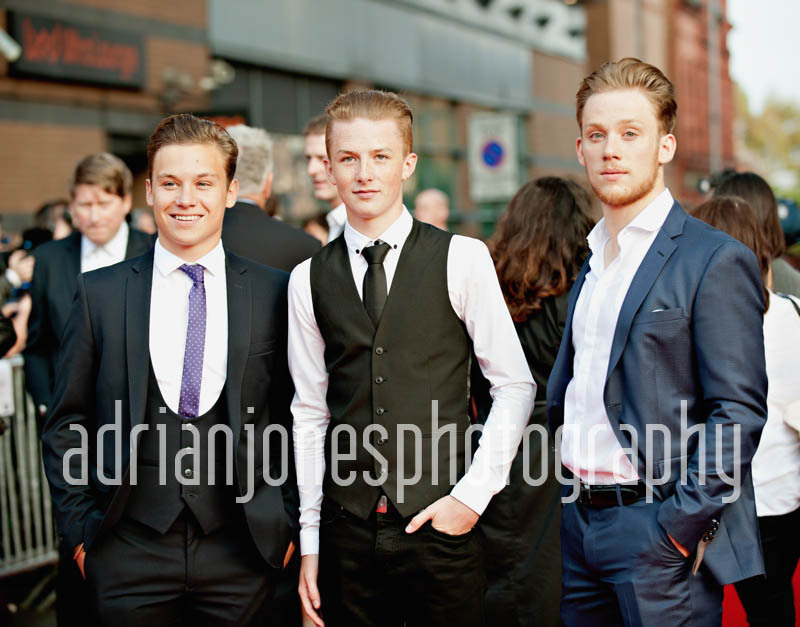 Above: L-R Finn Cole who plays the role of Michael Shelby, Harry Kirton who plays Finn Shelby & Joe Cole who takes the role of John Shelby. 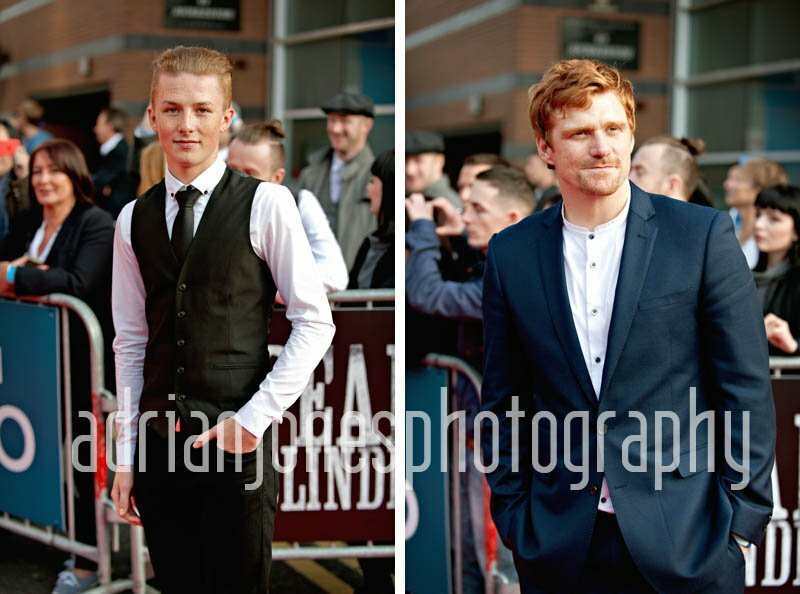 Above left is Harry Kirton who was cast from an open call in Digbeth, Birmingham in January 2014 to play the role of Finn Shelby. On the right is Paul Bullion who plays Billy Kitchen. 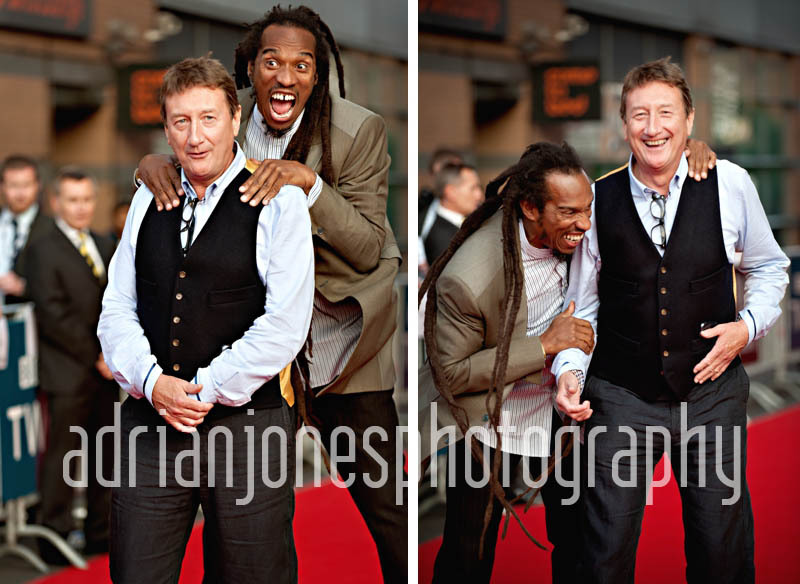 Above: Series creator & writer Steven Knight gets photobombed on the red carpet by star of the show & Birmingham poet Benjamin Zephaniah. Benjamin plays the role of Jeremiah Jesus. Above: Helen McCrory who plays Aunt Polly arrives looking stunning. 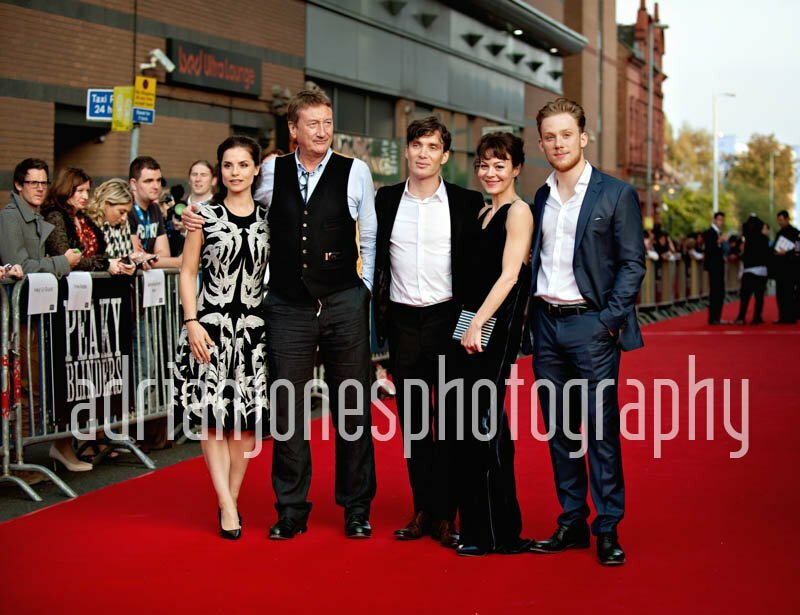 Also pictured with Cillian Murphy who plays the awesome Tommy Shelby. Above: The absolutely gorgeous Charlotte Riley who plays May Charleton. Charlotte is also the beau of actor Tom Hardy who stars in Series 2.